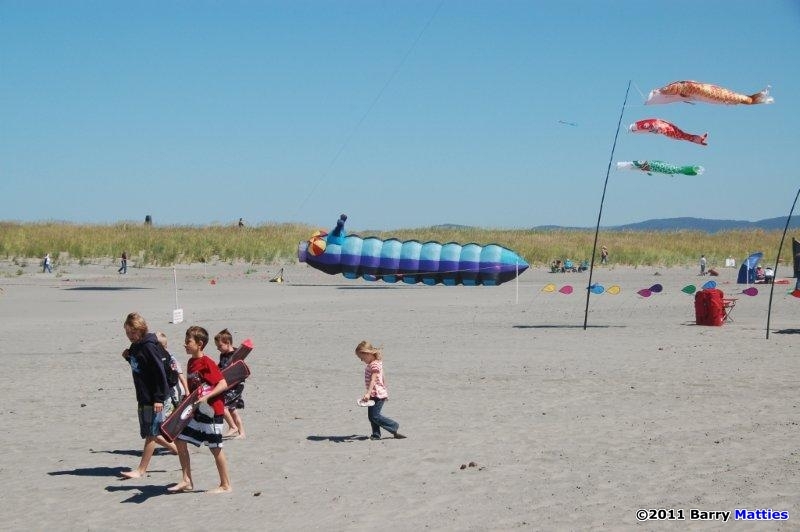 As we arrived a day early to this year’s Washington State International Kite Festival to help our friends at Above it all Kites setup their retail booth on the approach, the weather was spectacular. The winds were perfect, the sun was shining and warm. 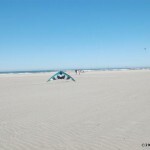 The beach was near empty and after helping our friends we headed right to the sand for an evening kite fly. 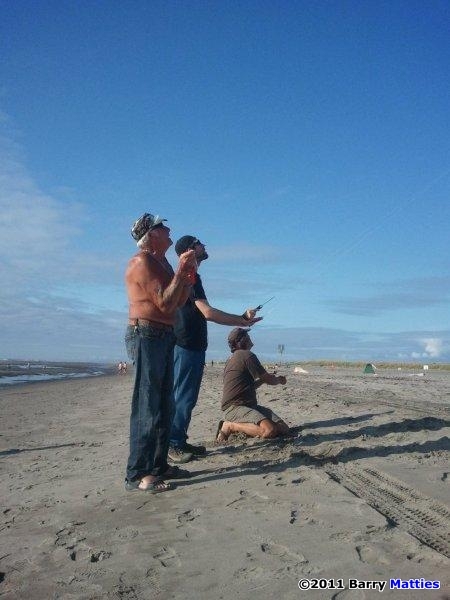 We had three of our favorite old kites in the air. 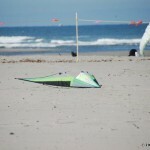 It’s been a while since we had flown these particular kites so it was like getting reacquainted with an old friend. 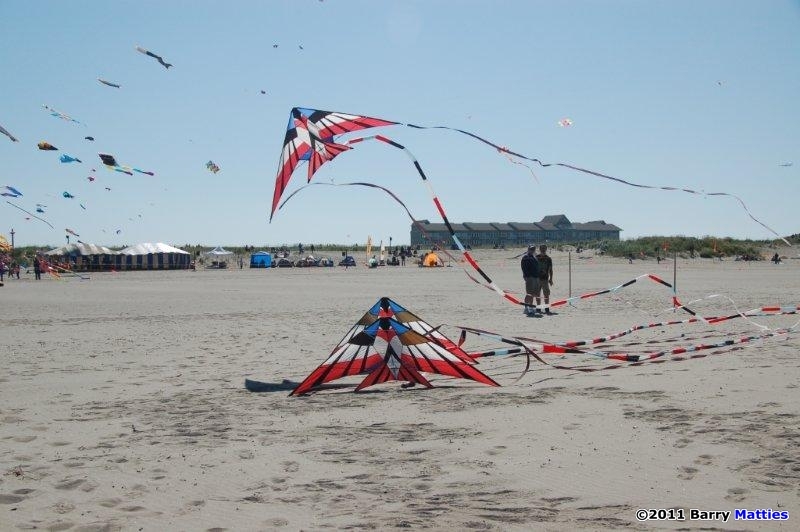 With three kites flying it only seemed natural for us to fly on the Ray Bethell fly field, after all the festival did not start until the next day so the field was vacant. 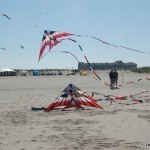 Of course, the difference is, it required all three of us to fly the three kites, whereas Ray Bethell flies three at once. We had only been flying about 45 minutes when I noticed Ray and his friend Dolores heading towards “his” fly field. 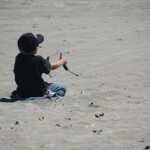 As I landed my kite on his field and started walking towards him I sort of felt like the kid who just got caught smoking. But, of course, with Ray it’s no problem. It’s been awhile since we had a chance to visit in person so it was really great to see him. We have all been good friends for many years, so it was especially nice that Shelly and our son, Bryson, were there as well. 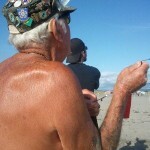 After the hugs it didn’t take Ray long to pick up the straps of one of our kites and start flying with us. And if you have had the pleasure of flying with Ray you already understand what a joy it is to do so, if you haven’t I hope someday you get a chance to. Ray quickly organized Bryson and me to play follow the leader, naturally, he was the leader. 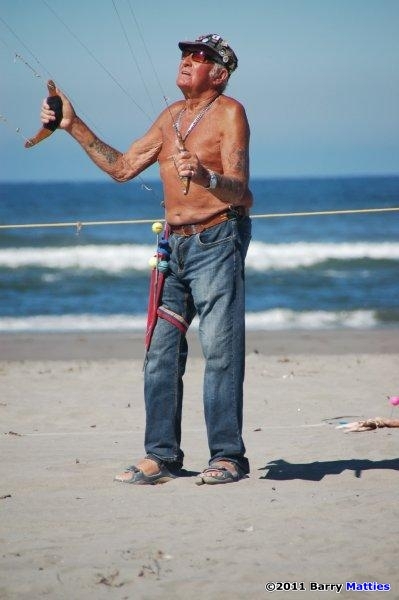 As our kites mingled in the sky Ray shared some of his flying tips, life stories, and good laughs. What a great way to wrap up a day with the warm sun behind our backs casting our long shadows in front of us. 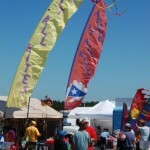 Unlike the last few years, I had arranged my schedule to so that I could spend the entire week at the festival. Starting early Monday morning I was there to help my friends stock their booth with products. As the day progressed, it just felt to me that the crowd was the smallest I could remember in the past 15-plus years I have been visiting the festival. Not just the spectators but the kite community, as well. The weather was still fantastic but the beach seemed rather quiet. 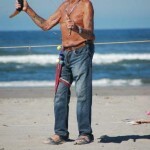 Ray, of course, was now engaging the few people on the beach with his fantastic multiple kite performance. 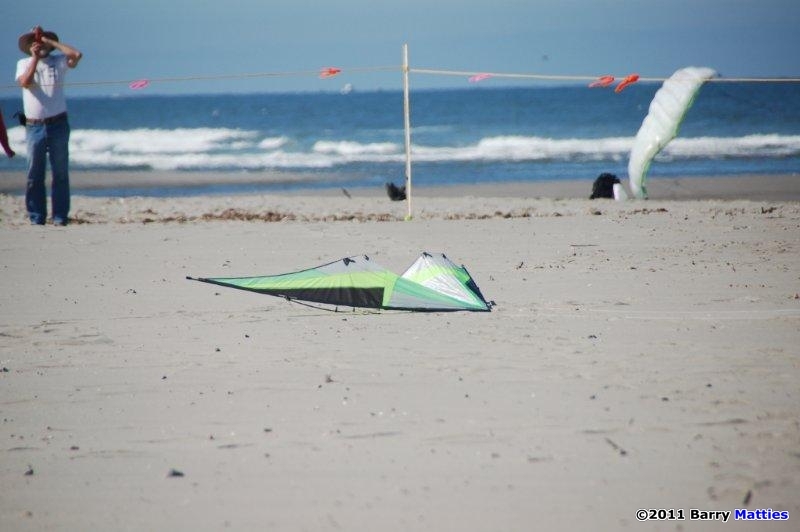 A few quad-line fliers were also in the air wowing those that have never witnessed the precise control of a quad-line kite in the hands of experts. 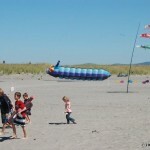 In the following days more and more of the kite community arrived, but still not in the numbers of festivals past. On Wednesday, that is when I realized how special the festival really is and it has nothing to do with the size of the crowd. After having a great day on the beach visiting with longtime friends and meeting some new ones we headed over to an ocean view condo to have a home cooked meal with Kathy Goodwind and friends…another great way to end another spectacular day. Click here for a short aerial video above WSIKF! As I got into my car that night to head back to my home, I realized my wallet was no longer in my pocket. It was much too late to do anything about it right now. 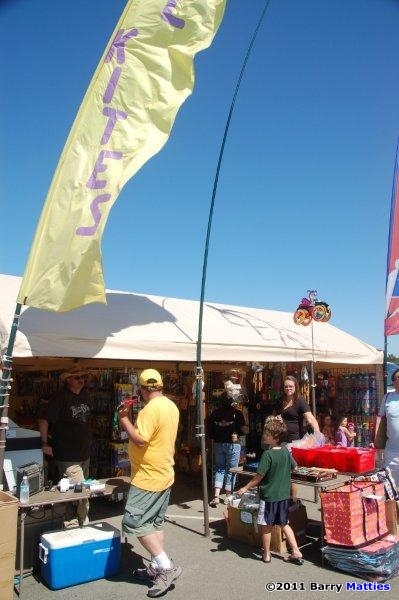 When I arrived back at the house, Shelly and I scoured my car, kite bag and backpack, not once but 4 or 5 times. In the nearly 40 years of carrying a wallet, this is really the first time that actually lost it. Aside from the usual credit cards and driver’s license, there was nothing else in there of great value that could not be replaced. It was more the hassle factor that was bothersome. 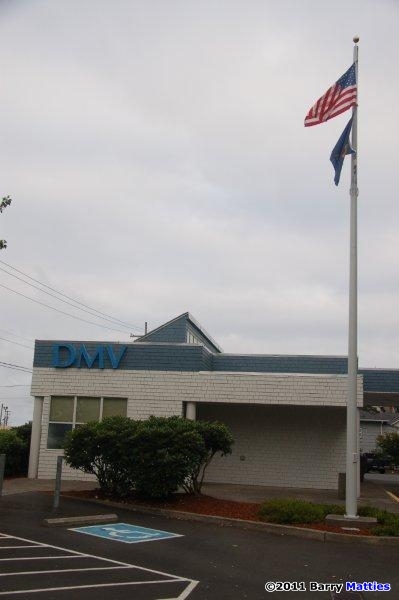 Since DMV was on my way to the festival, I stopped in the following morning at 8 am and replaced the license. I would still have calls to make to several banks to replace the credit and ATM cards. Before doing all of that, however, I decided my first course of action would be a trip to lost and found to see if my wallet was there. 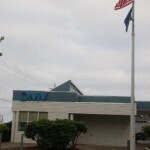 Even with my stop at DMV I still arrived early Thursday to once again help my friends prepare their booth for the day and to check in with lost and found, just as soon as they opened. It would be a great ending to this story if lost and found had had it. They did not but they suggested that I go to the local Police station to check there. I made my way to the Long Beach Washington police station only to find it closed with a sign saying they would be back at 1 pm. Considering it was 9:30 am, that left a few more hours before I would start ordering replacement cards. So I spent those hours retracing my steps on the beach and back to the condo where we had that great dinner. No luck. Well, as it turns out they did not have my wallet or Dolores’s keys or sunglasses which she had lost the previous day and had asked me to check on. But this is really where the point of the story begins. 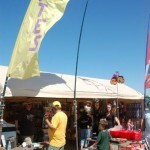 By now a few friends knew I had lost my wallet and that’s were I really began to understand the magic of the festival. Over the next few days it seemed everywhere I went each friend started to ask me if I had found my wallet. Jane Holeman, one of the event organizers, had heard I lost my wallet and told me that she had also contacted the police department to double check on it. What a good friend. As I was walking around the festival, people I did not even know started yelling out, “Did you find your wallet yet?” As I was ordering lunch the people selling the delicious roasted corn and yams asked me about my wallet. As I was walking across the center of the gym during the indoor kite fly, I hear this yell from the very full bleachers, “Hey Brad, did you find your wallet?” Alright, they missed my name but knew about my wallet. Everywhere I went, people inquired with genuine concern. Even Ray Bethel had “heard” I lost it, and he’s deaf! With a big grin on his face, he said that he had found one but assured me that the money was already gone. My wallet was nowhere to be found. 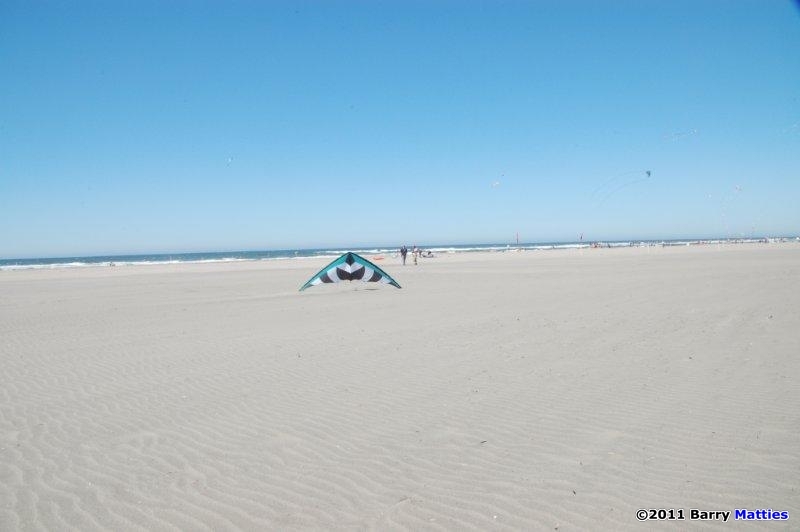 But what I did find was the beautiful reminder of what makes kiting so special…the people. The success of the festival should not be measured strictly by the size of the crowds alone, but rather by the character of those that are there. 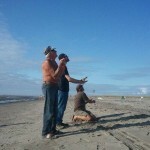 When I think of my week at WSIKF all I can say is WOW! 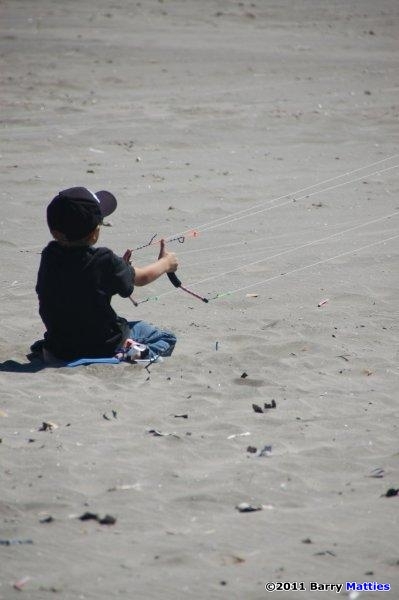 What a gift being showered by the love of the kite community. 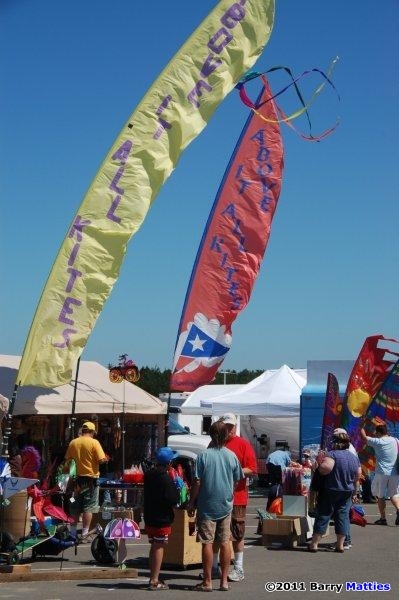 If you want to attend an event where many genuine people come to share life in a way that is special, then I would suggest that you attend a kite festival, and this one in particular. What a gift losing my wallet has been. I have not found it, however, what I did find at WSIKF is by far worth more than anything I may have lost. I saw a side of humanity that was a refreshing change from all of the fear in the world we routinely hear about. 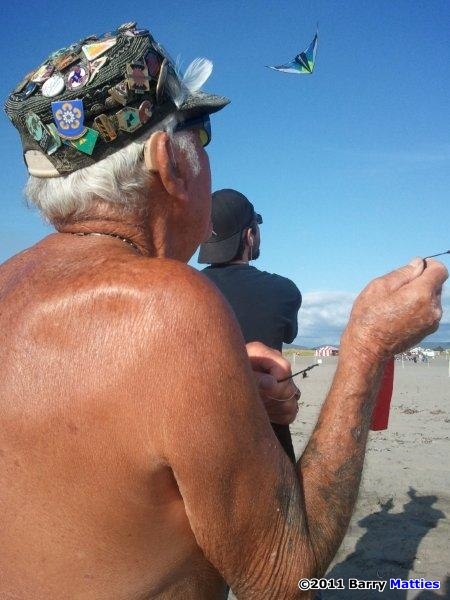 When the festival came to an end I reflected back on the week and had that same special feeling that I had standing on the Ray Bethell fly field, flying kites with Ray and my family…everyone should be so lucky. This entry was posted in 2011, Issue 80 (Sep/Oct), KL Archive and tagged barry matties, ray bethel, wsikf.